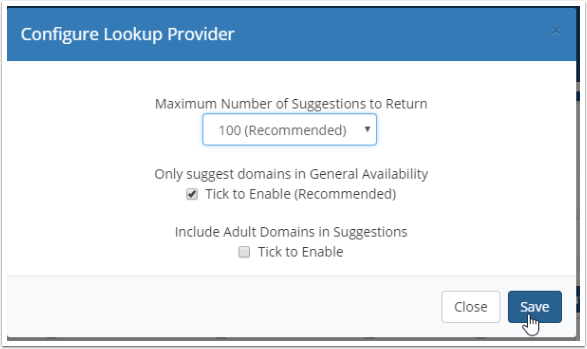 After configuring your Domains/TLDs for sale, the next step is to ensure you have the lookup provider configured. 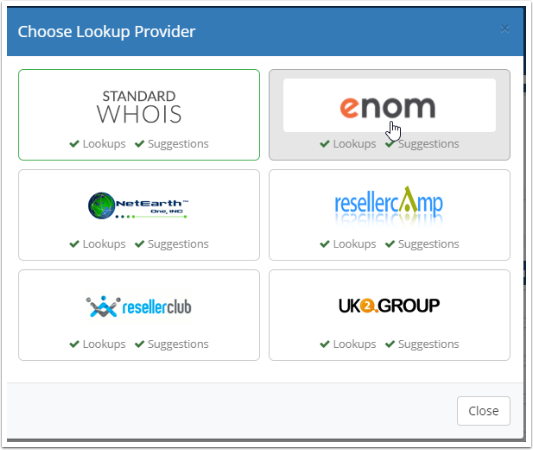 The lookup provider searches to ensure the domain your customer is interested in purchase is available. On the right-hand side of the screen, you will see a section titled Lookup Provider. 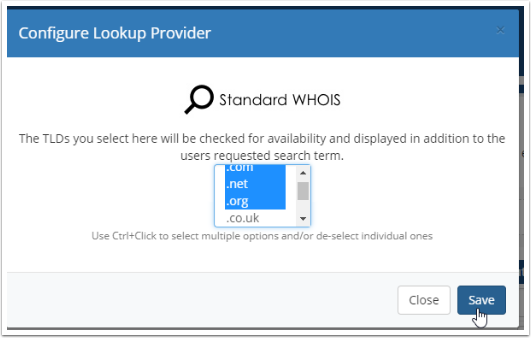 In this example, we will explore both the Standard WHOIS option as well as configuring the eNom Lookup Provider. The Standard WHOIS provider allows the primary domain the customer is wishing to purchase to be looked up, as well as any TLDs you set here. In this example, we chose .com, .net, and .org. This means that if your customer searches for mywebsite.co.uk, in addition to checking the .co.uk availability, mywebsite.com, mywebsite.net, and mywebsite.org will also be checked for availability. 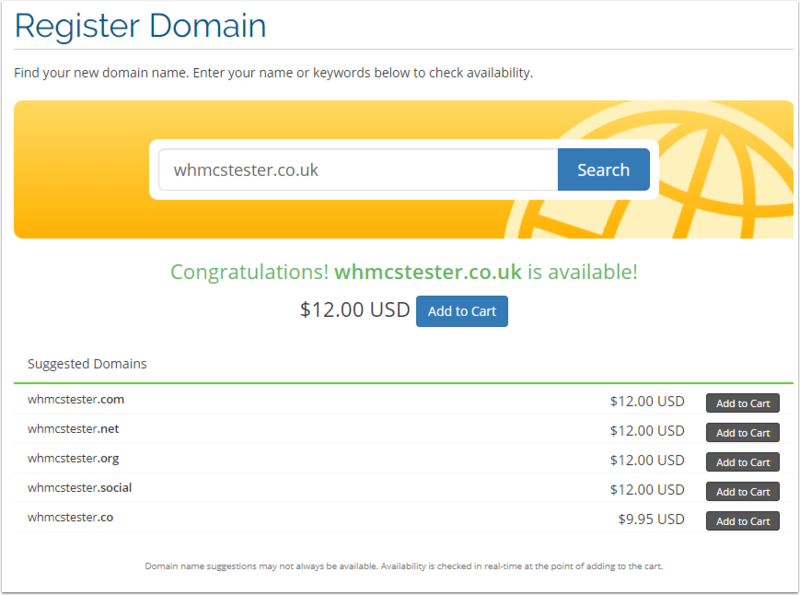 If they are available, they will be presented with pricing you have configured for those additional domains. Once satisfied with your settings, choose Save. That's all there is to it! 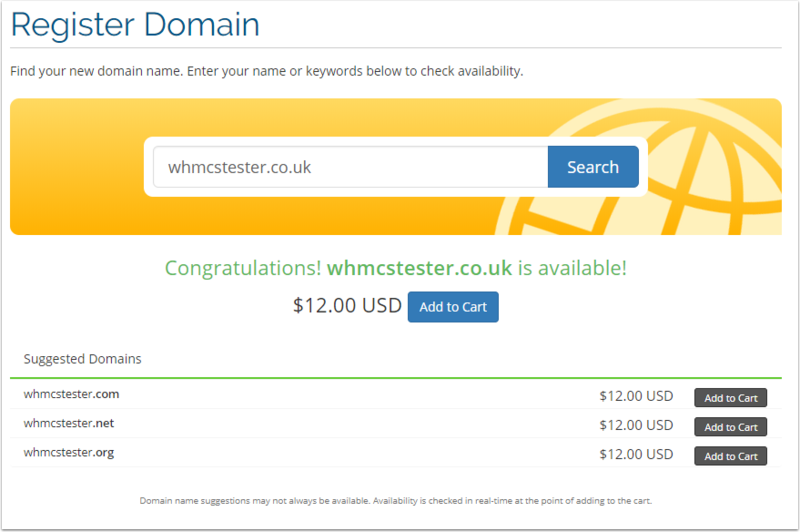 Your WHMCS is now setup to automatically suggest additional TLDs when a customer is interested in purchasing a domain name. 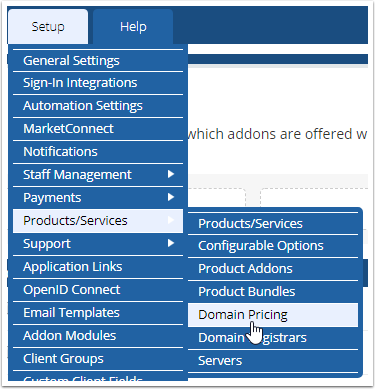 Configuring the eNom Lookup Provider is very similar. Note: Before you can use eNom as a lookup provider, you must hold an eNom reseller account and have configured WHMCS to use it. Please refer to the configuring your domain registrar guide first. For this option, choose Change on the Lookup Provider box. From the next screen, choose your preferred Lookup Provider. In this example, eNom. Upon choosing the desired provider, you will be automatically taken to the Configure screen of that provider. We chose the desired options and click Save. That is it! WHMCS will now utilize eNom to return up to 100 of your specified TLDs you have configured.